However, one does get tired. How do I fight getting tired and burning out? 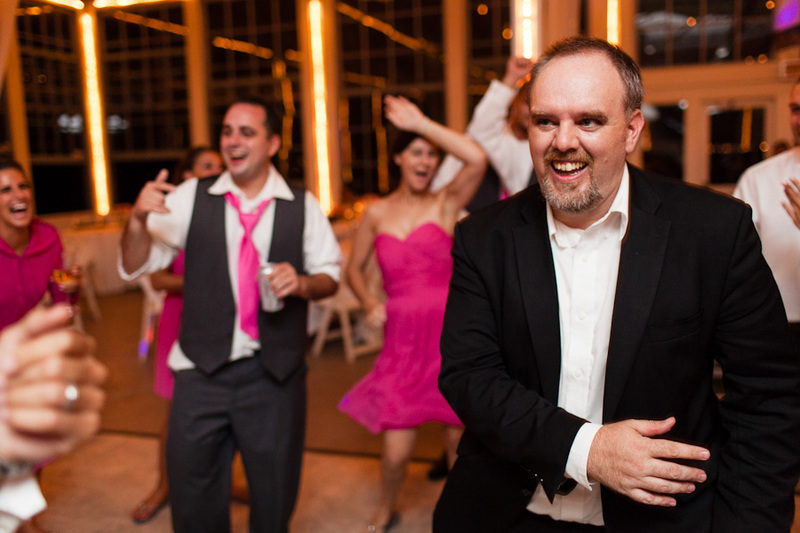 Well, I often dance (correction – dance badly) and sing along with the music at wedding receptions. One of my associate photographers and I have ‘dance routines’ worked out to certain songs that we hear regularly. The down side of that? Well, sometimes the bridal party confiscates your camera and demands that you get in the center of the ‘dance circle’ to show off your moves. And 10 to 15 seconds of absolute hilarity ensues. Hard to top that…unless someone asks you to get up and sing “You Make My Dreams Come True” by Hall and Oates with the band at their wedding. I am the Grand Prospect Hall of wedding photographers, “I make-a your dreams come true!” The lesson here is – if you don’t let your hair (or lack of hair) down on occasion, you run the risk of burning out. Also, I will do pretty much anything for a laugh, even (and especially) at my own expense. So if it gets everyone having a good time and laughing – COUNT ME IN! In case you are not familiar with me, I do take my job very seriously.